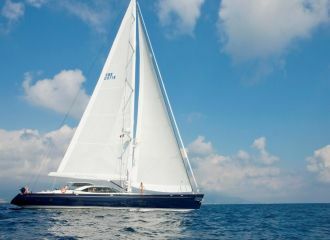 This Southern Wind 30m yacht offers excellent sailing performance. She is the ideal yacht for a family charter in the Balearics. The exterior deck boasts a number of living and relaxing areas including the foredeck cockpit with a large dining table. The interior is well-thought and the saloon is particularly enjoyable with its large windows which allow for plenty of natural light. 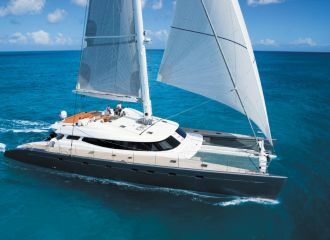 This Southern Wind 100DS yacht can accommodate up to 8 guests in 4 cabins: 2 double and 2 twin, all en-suite.